Word didn't gain new features beyond the Picture Tools, Fonts, and ability to send PDFs, but PowerPoint has seen some improvements. The app has a new Presenter View that lets users view and edit speaker notes, see next slides, and jump to other slides while presenting. Presenter tools allow for highlights and drawings to be erased within presentations, while new media features make it possible for users to play videos, sound effects, and background music while presenting. There are also new tools to insert videos from the Camera Roll and add/edit hyperlinks. Today's update is the second major update the Office software has gotten since its March release. Back in April, the three apps gained some important features that had been missing since launch, including the ability to print directly from the apps. 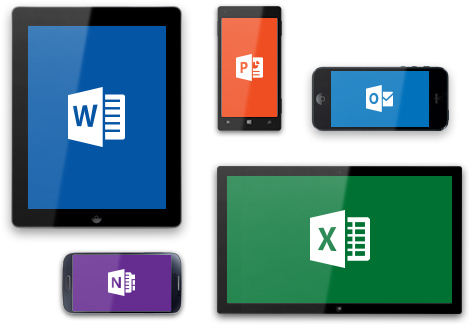 Microsoft's Office for iPad apps have proven to be highly successful for the company and back in May, just over a month after the software had been released, the apps had seen more than 27 million downloads. Microsoft has committed to continually improving its Office for iPad apps, which now directly compete with Apple's own iWork suite including Numbers, Keynote, and Pages. All of the updates to the new Office apps are currently available and can be downloaded from the App Store for free. While the apps can be accessed for free, unlocking full capabilities, including editing and creating documents, requires an Office 365 subscription.